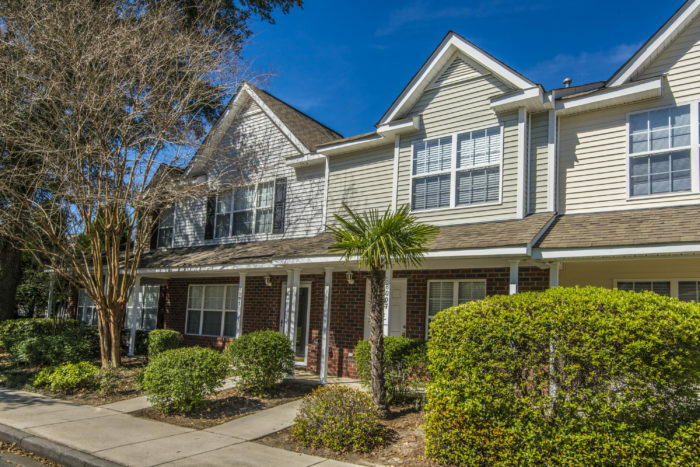 Fantastic townhouse centrally located in North Charleston, close to shopping, dining, CSU, and minutes to downtown. This 2 bedroom, 2.5 bath unit features open living/dining space downstairs. The kitchen has a breakfast bar and comes with all appliances. Lovely screened porch out back and extra exterior storage. Upstairs you will find 2 bedrooms, both with vaulted ceilings, and each with its own bath. Laundry is also upstairs for convenience. The unit has 2 assigned parking spaces. Great for first-time buyers or investors. Lovely community with a pool to enjoy.